Glen Burnie, Maryland pest control company Rid Termite and Pest Control can provide an effective new solution for the affordable and effective elimination of bed bugs after a single application. Rid Termite and Pest Control, a leading pest control company based in Glen Burnie, Maryland, announced the availability of a proprietary bio-pesticide to effectively eradicate bed bugs in a single application. Designed as a safer, more powerful alternative to chemical pesticides, Aprehend is based on a natural fungal disease which affects insect populations exclusively, making it both highly effective and completely safe to use around people or animals. More information can be found at http://www.ridtermite.com. Bed bug infestations are a serious problem for residents in Baltimore, with the greater Baltimore area being ranked first in the Country in the number of bed bug infestations. The introduction of the new patent-pending bio-pesticide followed the increased need for an effective way to eradicate bed bugs. Traditional chemical pesticides typically require several applications over a 30 to 60-day period to overcome chemical resistance, making them both costly and inconvenient. By contrast, Aprehend is effective after a single application. Based on Beauveria bassiana, a type of fungus which causes a fatal disease in insect populations, the new pesticide affects bed bugs by direct contact, making it highly effective in eradicating bed bug populations. Additionally, since it is not chemically-based, it eliminates the risk of chemical resistance. 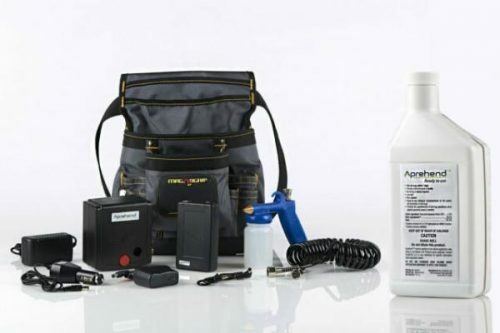 A single application of Aprehend is sufficient to eliminate bed bug populations, which typically die from fungal infection after three to seven days. For a limited time only, the Glen Burnie pest control company is offering a free inspection, free single room treatment, and a 30-day respray guarantee. The company’s services are available immediately for anyone who thinks they have a bed bug infestation in Baltimore City, Baltimore County, Howard County and Anne Arundel County.